This 2-day conference features noted national and Michigan experts who will address a range of topics in the field of child abuse prevention, assessment, and treatment. 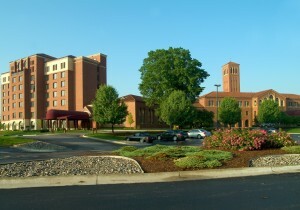 The Michigan Medicine Child Protection Team and the Child Abuse and Neglect (CAN) Conference Planning Committee welcome you to the 38th Annual Michigan Statewide Conference on Child Abuse and Neglect: Prevention, Assessment, and Treatment on October 21 and 22, 2019 at The Inn at St. John’s Conference Center in Plymouth, MI. This 2-day conference features noted national and Michigan experts who will address a range of topics in the field of child abuse prevention, assessment, and treatment. In addition to the keynote presentations and plenary session, attendees will have a choice of over 30 workshops focusing on recent advances and best practices in the areas of prevention, medical issues, child advocacy, and law enforcement. Using past conference evaluations and topic suggestions, the goal is for conference participants to gain knowledge about practice in the field of child abuse throughout the conference and be able to apply this knowledge to their work. Participants will also have opportunities to interact and network with other professionals in the field. The conference is designed for prevention specialists, social workers, child welfare professionals (Children’s Protective Services, Foster Care, Adoption), juvenile justice services, physicians, nurses, mental health and other medical professionals, attorneys, law enforcement; child advocacy professionals, and educators. Community members are also welcome to attend. Recent advances in the field and applications to practice. Improved recognition of the symptoms of abused and neglected children in complex presentations. Improved recognition of the source of child behavior when children are abused and neglected. Successful intervention and treatment plans for children. Successful prevention models in child abuse and neglect. 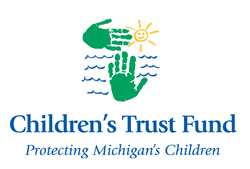 Once again, with strong support from the Michigan Children’s Trust Fund, we offer additional workshops focusing on prevention. And a special thank you to all of our exhibitors and vendors. Conference Presentations will be posted for download as they become available. The Michigan Medicine Child Protection Team (CPT) is a multidisciplinary team dedicated to improving the identification and treatment of abused and neglected children. The Michigan Medicine Department of Social Work supports and serves patients dealing with psychosocial issues/concerns, bereavement, domestic violence/sexual assault, diagnosis and illness. Since 1903, Michigan Medicine has led the way in providing comprehensive, specialized health care for children.